Design on Broadway in Minot North Dakota is also home to this vintage neon sign. I remember seeing this sign twenty-plus years ago. 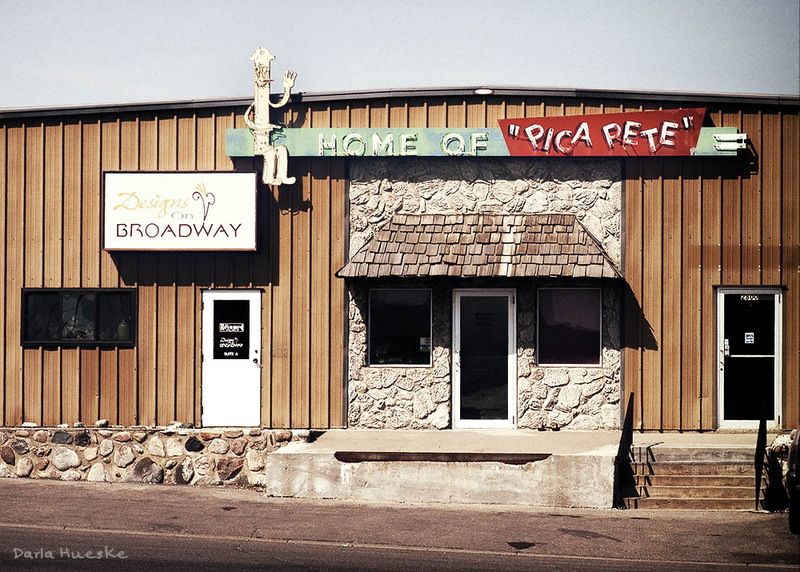 Home of Pica Pete. The pica (pronounced PIE-KAH) is a typographic unit of measurement. It contains 12 point units of measure. Publishing applications such as Adobe InDesign and QuarkXPress represent pica measurements with whole-number picas left of a lower-case “p”, followed by the points-number, for example: 5p6, represents 5 picas and 6 points, or 5½ picas.